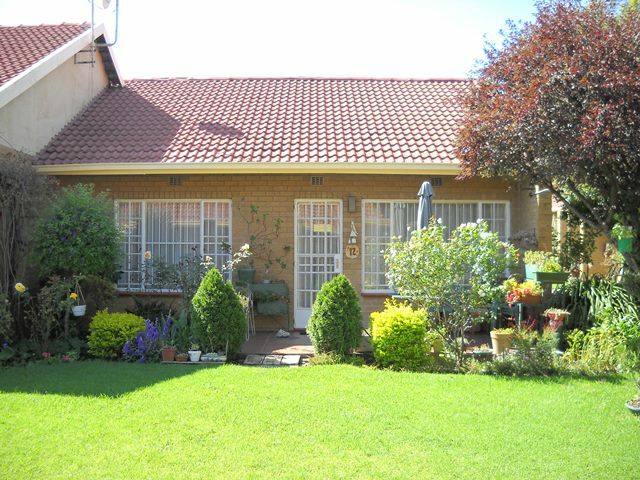 These one or two bedroom cottages are surrounded by open lawns and magnificent gardens. They comprise a bedroom(s), dining room/lounge, bathroom, kitchen and patio looking out into the gardens. Please view pricing in the Available Accommodation listings. We have cosy one bedroom cottages and bachelor flats set in lovely tranquil gardens overlooking Kensington. 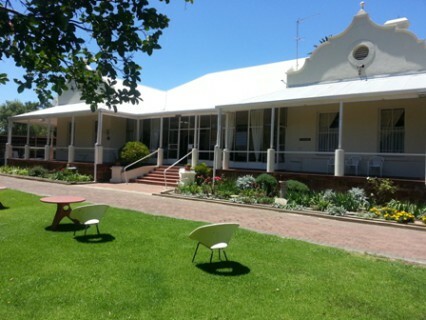 The cottages comprise of a bedroom, bathroom, lounge, kitchen, patio that looks out onto the gardens. Most units are north-facing. The Bachelor units consist of one-room with space for a single bed, and contains a bathroom and kitchen. Downstairs units have a patio that look out into the gardens, while the upstairs flats have balconies overlooking the suburb of Kensington. Most of these units are also north-facing. The monthly levies include water, a weekly domestic service and a garden service. Prices may vary according to individual cottage improvements. A resident's right to remain in the accommodation depends on that person's health and ability. When a resident vacates his/her unit, it is refurbished at the resident's cost and resold. A percentage of that new selling price is refunded to the resident. The value of the unit is market related and generally goes up in price each year. For other Flower Foundation retirement villages click here. string(258) "Kensington Gardens, Erica Gardens, Protea Gardens, retirement home, retirement cottage, independent living, retirement Cyrildene, retirement Bedfordview, retirement Bruma, retirement johannesburg, independent living Johannesburg, retirement east johannesburg"
string(22) "75 11th Ave Kensington"
string(59) "Kensington Gardens – Flower Foundation Retirement Village"
string(2680) "  Kensington Gardens Retirement Village Cottages: ERICA GARDENS These one or two bedroom cottages are surrounded by open lawns and magnificent gardens. They comprise a bedroom(s), dining room/lounge, bathroom, kitchen and patio looking out into the gardens. • One bedroom cottages (22 units) • Two bedroom cottages (15 units) Please view pricing in the Available Accommodation listings. 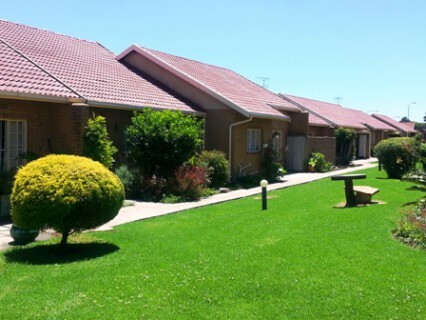 Kensington Gardens Retirement Village Cottages and flats: PROTEA VILLAGE We have cosy one bedroom cottages and bachelor flats set in lovely tranquil gardens overlooking Kensington. The cottages comprise of a bedroom, bathroom, lounge, kitchen, patio that looks out onto the gardens. Most units are north-facing. The Bachelor units consist of one-room with space for a single bed, and contains a bathroom and kitchen. Downstairs units have a patio that look out into the gardens, while the upstairs flats have balconies overlooking the suburb of Kensington. Most of these units are also north-facing. One Bedroom Cottages (11 units)  - 33sqm Bachelor flats (28 units) - 23.75sqm Please view pricing in the Available Accommodation listings. The monthly levies include water, a weekly domestic service and a garden service. Features of the Kensington Gardens Retirement Village •    Perimeter secured  and night guard patrol •    Hand held emergency panic buttons •    Carports available on request at a nominal fee •    Manager and matron visit regularly •    Chapel and library •    Dining room and lounges for entertainment and socialising •    Visiting doctor, chiropodist and hairdresser •    Exercises, games and socials in the community centre •    Transport to Eastgate shopping centre weekly The Kensington Gardens units can be purchased on a Tenancy Right basis Prices may vary according to individual cottage improvements. This is how the Tenancy Rights work A resident's right to remain in the accommodation depends on that person's health and ability. When a resident vacates his/her unit, it is refurbished at the resident's cost and resold. A percentage of that new selling price is refunded to the resident. The value of the unit is market related and generally goes up in price each year. Repayment of Tenancy Rights to the resident is based on a sliding scale: 70% refund in first 6 months 60% refund 7-24 months 50% refund 25 months onwards For other Flower Foundation retirement villages click here." string(37) "Kensington Gardens Retirement Village"
string(143) "Kensington Gardens retirement village features cottages and bachelor flats in magnificent garden settings overlooking the suburb of Kensington." string(2826) "                                           Kensington Gardens Retirement Village Cottages: ERICA GARDENS These one or two bedroom cottages are surrounded by open lawns and magnificent gardens. They comprise a bedroom(s), dining room/lounge, bathroom, kitchen and patio looking out into the gardens. • One bedroom cottages (22 units) • Two bedroom cottages (15 units) Please view pricing in the Available Accommodation listings. 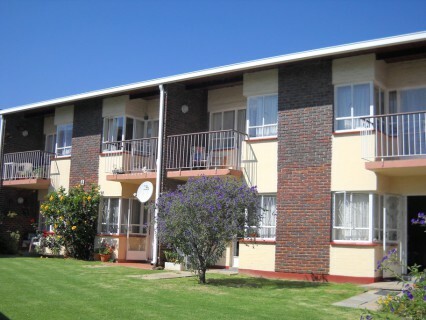 Kensington Gardens Retirement Village Cottages and flats: PROTEA VILLAGE We have cosy one bedroom cottages and bachelor flats set in lovely tranquil gardens overlooking Kensington. 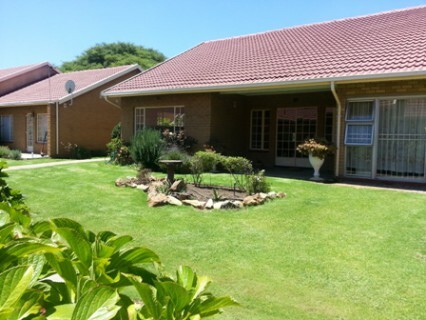 The cottages comprise of a bedroom, bathroom, lounge, kitchen, patio that looks out onto the gardens. Most units are north-facing. The Bachelor units consist of one-room with space for a single bed, and contains a bathroom and kitchen. Downstairs units have a patio that look out into the gardens, while the upstairs flats have balconies overlooking the suburb of Kensington. Most of these units are also north-facing. One Bedroom Cottages (11 units)  - 33sqm Bachelor flats (28 units) - 23.75sqm Please view pricing in the Available Accommodation listings. The monthly levies include water, a weekly domestic service and a garden service. Features of the Kensington Gardens Retirement Village •    Perimeter secured  and night guard patrol •    Hand held emergency panic buttons •    Carports available on request at a nominal fee •    Manager and matron visit regularly •    Chapel and library •    Dining room and lounges for entertainment and socialising •    Visiting doctor, chiropodist and hairdresser •    Exercises, games and socials in the community centre •    Transport to Eastgate shopping centre weekly The Kensington Gardens units can be purchased on a Tenancy Right basis Prices may vary according to individual cottage improvements. This is how the Tenancy Rights work A resident's right to remain in the accommodation depends on that person's health and ability. When a resident vacates his/her unit, it is refurbished at the resident's cost and resold. A percentage of that new selling price is refunded to the resident. The value of the unit is market related and generally goes up in price each year. Repayment of Tenancy Rights to the resident is based on a sliding scale: 70% refund in first 6 months 60% refund 7-24 months 50% refund 25 months onwards For other Flower Foundation retirement villages click here." string(45) "Community centre, library, chapel, pool table"
string(40) "Pets (small dog) with written permission"
string(46) "Weekly transport to shops and arranged outings"
string(47) "Access control, CCTV, patrolling night security"
string(39) "Weekly wellness clinic included in levy"
string(28) "Self-service laundry on site"